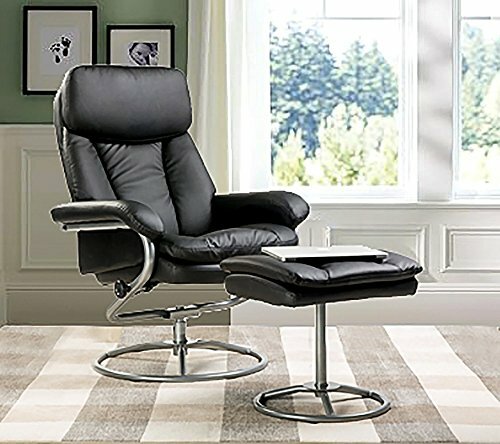 Lean back and relax supported by the strength of the metal frame. Rest your arms on the padded arm rests and enjoy the support from the contoured back and generously cushioned seat. Stretch out your legs on the ottoman and allow yourself to let go, slow down and enjoy a moment of rest. •Chair dimensions: 31.9" x 29.1"x39.8"
•Ottoman dimensions: 19.3" x 16.9" x 17.9"